Russian defense companies have developed and successfully tested a number of advanced weapons systems capable of penetrating any missile defenses, President Vladimir Putin said Tuesday. SOCHI (Sputnik) — Russia will strengthen its strategic nuclear potential in response to the deployment of US missile defense systems, Russian President Vladimir Putin said Tuesday. "Russia will take necessary retaliatory measures to strengthen the capacity of its strategic nuclear forces. We will work on our missile defense system as well. Initially, as we have repeatedly said, we will work on the strike systems able to overcome any missile defenses," Putin said at a meeting on the situation in the Russian military-industrial complex. The Russian leader added that references to the threats allegedly posed by the Iranian and North Korea nuclear programs conceal true Washington's intentions to achieve military superiority. "Iranian and North Korean nuclear missile threats merely cover up the true plans [of the United States]. Their true purpose is to neutralize the strategic nuclear potential of other nuclear states – except the United States and its allies – including Russia first and foremost," Putin said. Speaking at a session on the military-industrial complex, the Russian leader pointed to continued air defense system development by the United States despite the fact that the Iranian nuclear deal had been reached this summer. "In the past three years, the [Russian] defense companies have developed and successfully tested several advanced weapons systems that are capable of accomplishing tasks in heavy missile defense environment," Putin said at a meeting with government and defense industry officials. 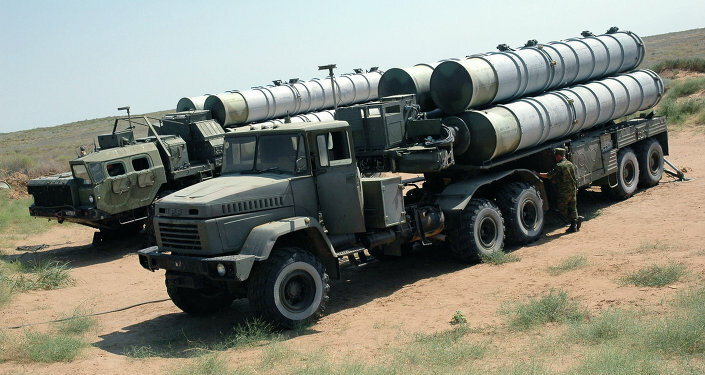 "The Russian armed forces started receiving these systems this year," Putin added.